Come to the CLE to receive tutoring, work on homework assignments, meet with study groups, and attend study skills workshops. 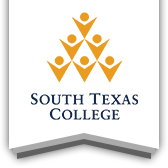 All services offered through the CLE are free to all enrolled students of South Texas College. Let's Write the Story of Student Success Together! Join us for a TSI Math workshop covering Expressions and Equations with Radicals For more information, please call (956) 872-8303. Join us for a TSI Reading/Writing Workshop covering Main Idea. For more information, please call (956) 872-8303. Join us for a TSI Math workshop covering Factoring Polynomials For more information, please call (956) 872-8303. Join us for a TSI Reading/Writing Workshop covering Sentence Structure. For more information, please call (956) 872-8303. Join us for a TSI Math workshop covering Polynomial Equations For more information, please call (956) 872-8303. Join us for a TSI Reading/Writing Workshop covering Essay Revision. For more information, please call (956) 872-8303. Join us for a TSI Reading/Writing Workshop covering Agreement. For more information, please call (956) 872-8303. Join us for a TSI Math workshop covering Functions For more information, please call (956) 872-8303. Join us for a TSI Reading/Writing Workshop covering Author’s Use of Language. For more information, please call (956) 872-8303. Join us for a TSI Math workshop covering Graphing For more information, please call (956) 872-8303.